Home » Atlanta REIA Blog » Articles » The Profit » February 2016 » The Addiction of Success! Over the holidays I had a few great learning lessons. I volunteer for several different causes. The one I chose, was a half-way house for recovering addicts. I have learned from that experience that it takes on average 6 times or 6 attempts to become clean. Now this is an average. There are some individuals who will get clean in a much shorter time because they have super “WHY” and have the right relationships which will support them in their life’s journey. So I started to look at my own life and the struggles I have learning and implementing new systems in my own business. Why do I go to the seminars and training which I buy, spending thousands of dollars on my education? The day after the seminar I do nothing. I never implement the great knowledge and systems the gurus has provided. I don’t even open the book ever again. Does this sound familiar? So you can see the reason why people fail to ever get started in real estate or on their new years resolution is simple. They haven’t pursued the process to the next step. The easiest way to get there is by finding your “WHY””. (I talked about this in The Profit Newsletter dated January 2016). Once we make the decision to get experimentation and we put our toes in the water our success rate goes dramatically up. So for me, I have been successful in the area of raising capital. In the past I have raised a million dollars. That has not been enough. I can spend a few million dollars in a few hours and windup with a very nice property. I have taken other raising capital gurus courses, I have 3 of them on my shelves right now! The curious thing is if it takes six times to overcome failure addiction then it takes the same number to become addicted to a positive behavior (addicted to success and wealth). From my history, I have another 3 times before I will become very proficient in raising capital. I will make it because I have a great “WHY””. How many more times will you back slide before you make the break through… you deserve? Will you have the perseverance to become addicted to success and wealth? The action step I need your support on is when you see me, ask me if I have any money to lend you on your latest real estate project. Another action step I need your support on is to ask me to give you my “elevator speech” on private lending… then give me your feed back! We only get better if there is accountability! I am looking forward to meeting you and supporting you on your way to a successful 2016! 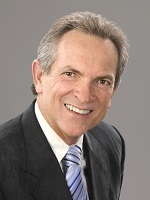 Russ Hiner is an active real estate investor, coach and mentor. Russ is currently the leader of the Atlanta REIA Creative Deal Structuring Group and co-leader of the Atlanta REIA Mastermind Group. Russ also teaches several Atlanta REIA Workshops throughout the year on a variety of real estate investing topics such as Negotiations, Wholesaling 101, Wholesaling 401, Real Estate 101, Property Management and more.